282 pages | 46 B/W Illus. 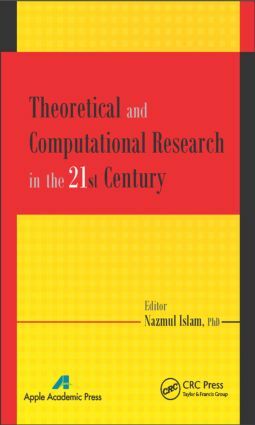 This book focuses mainly on the recent developments of all types of theoretical, mathematical, and computational conceptions, as well as modelling and simulation of specific research themes covering all scientific and technical disciplines from chemistry, physics, and engineering to biology and medicine. The book contains timely reviews and research covering fundamental and applied research aspects in all disciplines of natural sciences, including their historical representations and philosophical perspectives. The book discusses the fact that the largest and smallest values of the fukui function and local softness do not necessarily correspond to the softness and hardness regions of the molecules such as porphyrins. The authors have adopted two popular calculation procedures for this venture. One is the very old Hückel molecular orbital calculation, and the other is one of best semi-empirical AM-1 procedures for such systems. Our finding is that neither the fukui functions nor the local softnesses can predict the preferred donor sites of porphyrins toward metal ions. Nazmul Islam, PhD, is a professor at the Department of Basic Sciences & Humanities at Techno Global-Balurghat in Balurghat, D. Dinajpur, India. He is editor-in-chief of The SciTech, Journal of Science & Technology, and Signpost Open Access Journal of Theoretical Sciences. He is also an editorial board member and reviewer for many international journals. He was named a Top 100 Scientists 2012 by International Biographical Centre, Cambridge, England, along with other notable designations. He is the author of several books and book chapters and teaches courses in chemistry, computer and computer applications, and engineering chemistry.